YS ENTERTAINMENT announces deliver happiness, take Running Man’s Team to Thailand. 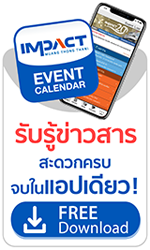 Thai-Runner, are you ready? RUNNING MAN 2017 LIVE IN BANGKOK, ticket on sale February, 19th!!! Made all fans of Running Man – No.1 Variety Game Show in South Korea screamed!! After receiving the good news was officially confirmed that the production team decided to abandon the plans to stop broadcasting the last tape of RUNNING MAN in this February already. That means RUNNING MAN will continue to make a lot of fun and laughter for all fans with 6 ceremonies hilarious original set but more happiness and get ready to enjoy double happiness that was going to happen soon!! When YS ENTERTAINMENT cooperation with SBS, is hosting the event RUNNING MAN 2017 LIVE IN BANGKOK on Saturday 11th March, 2017 at Thunder Dome, Muang Thong Thani. The Special event to build morale of Thai-Runner (Running Man’s fan club is called Runner) to return to lively again. Although these Running Man ceremonies are not the idol but they made laughter to the audience more than 7 years and very famous enough to have Asia Tour Fan Meeting several times. In this year - 2017, the 5 members of the Running Man’s Gang, such as Big brother - Jee Seok Jin, Sparta Kook - Kim Jong Kook, Female Captain - Song Ji Hyo, Prince of Asia - Lee Kwang Soo and God of Rapper – HaHa will come to get closer, delivery laughter to the fans in 6 countries across Asia including Taiwan, Macau,Singapore, Malaysia, Hongkong and of course ‘Thailand’ be in their tour’s schedule. An all-out show like this, are you ready Thai-Runner? Let’s come to enjoy with them and make the impression that will be in our memories as long as possible in RUNNING MAN 2017 LIVE IN BANGKOK on Saturday 11th March, 2017 at Thunder Dome, Muang Thong Thani. Start from 6 pm onwards. Ticket Prices : 6,000 / 5,000 / 4,000 / 3,000 / 2,000 baht. Get ready your fingers because the organizer will open online booking the tickets for all seats on Sunday 19th February, 2017 onwards at main website : www.ysentertainmentbkk.com More information, Privileges and updated information at facebook: ysentertainmentbkk , Instagram: ysentbkk , twitter: ysentbkk , want to assure all Thai-Runners that the Running Man’s Gang ultimate guarantee this event. Prepare press “like” repeatedly! !